Bottom: Mom! ; Reppin' TrailsRoc at Boston; Y10 awards? ; Dad! 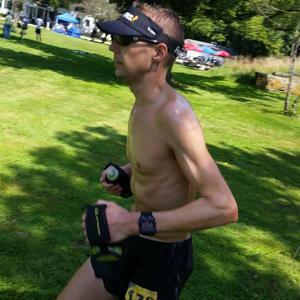 Daven Oskvig is back with more thrilling tales of 100 mile races! Well… and 10 mile races. From Oil Creek to Sulphur Springs for a course record and back to Oil Creek to win again, it's been an interesting and successful year since Daven was last on the podcast. Daven and I chat a little bit about variety in running, the benefits of sticking to your race schedule, and in general what his 2016 was and what his 2017 will look like. And yes, we talk about running 100 milers. Josh Stratton LMT - A licensed massage therapist who knows the treatments that runners need. Located in Winton Place. Tell him you heard the podcast and use the code "legit" when booking during March for $15 off a 60 minute massage!